There are plenty of reasons to try other sports this summer while taking a break from hockey. Many other activities still use similar skills and concepts to hockey but don’t involve any of the equipment. One of those sports is floorball. An exciting game that promotes end-to-end plays with quick transitions and fluid game play, the rules of Floorball rules stress the importance of safety and sportsmanship. They are also designed to limit the chance of injury without decreasing the speed or skill of the game. Want to give players a hockey-like experience in the warmer months? Floorball is a great way to introduce players to the first steps of hockey through community programming. Gather up some teammates from your hockey team and try out floorball. 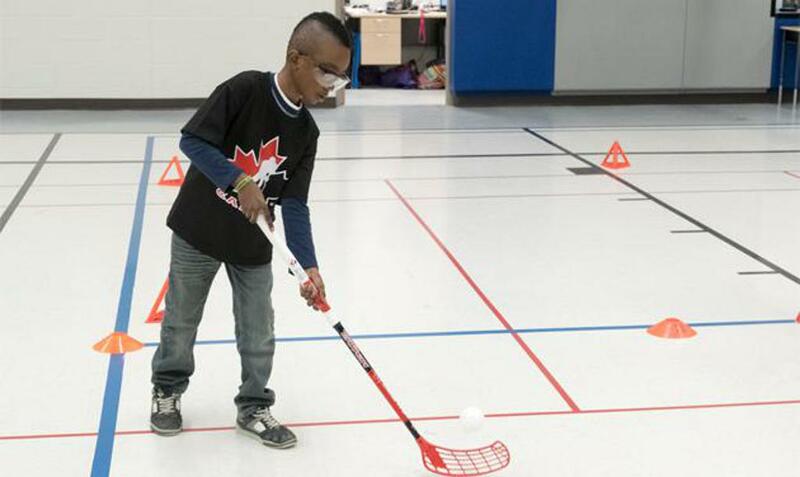 The Try Hockey program brings floorball to schools all over the province and brings new faces to the sport each time. 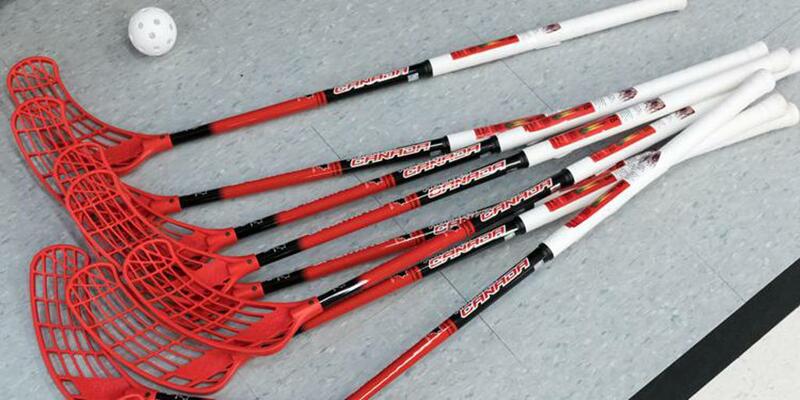 The lightweight equipment allows players to develop better handling abilities. The emphasis is on ball control and all points of contact are directed towards the ball and not to the stick or the player. With five players and a goalie from each team on the court at a time, players get plenty of time with the ball. The hockey season can lead to bumps and bruises and sometimes it’s nice to take a break from the physical contact. Many of the rules of floorball are designed for minimal contact, including no body contact or blocking of opposing players. A player’s stick is not allowed to contact anything other than the floor or the ball. There are many school gymnasiums that are sitting empty during the summer that provide a great playing area for floorball. Floorball sticks are engineered for superior stickhandling, ball control and shooting. They are lightweight, inexpensive, durable and non-marking, which makes them a great activity for indoor surfaces. The Ontario Minor Hockey Association will partner with Salming Canada as part of the OMHA Events Team, where a floorball area complete with Salming equipment will be available for all participants.